Before I even had children, I knew I wanted to get them involved in martial arts. When I realized that I was going to be a parent of two special needs children, though, it became even more important to me than ever. Rose & Dante are both on the autism spectrum. Dante has been training at Master Gorino’s for 7 ½ years, Rose for 3 ½ years. 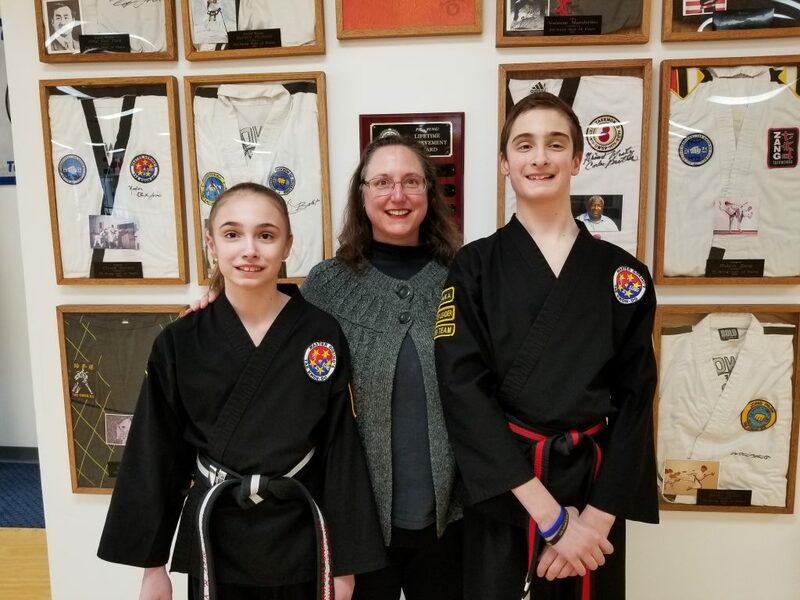 In that time, they have both earned black belts, but Tae Kwon-Do has been an immense help to both of them in many other ways as well. What are the benefits of training at Master Gorino’s? Training at Master Gorino’s has given them increased focus and much better self control. Their increased mental strength allows them to tackle problems better. It has also given us a better understanding of important character traits like integrity and courtesy; traits that we practice daily both at the Dojang and in our community. For children on the autism spectrum, social skills are difficult. But, because Master Gorino’s dojang considers all of the families that attend to be part of their own, my children see their classmates as more than just “Tae Kwon-Do buddies,” but true friends. When it comes time for birthday parties, the Tae Kwon-Do kids are the first to be invited. Additionally, Rose and Dante love getting involved in all of the Dojang picnics and socials, movie nights and Halloween parties, all of which have really helped them with their social skills and their ability to connect with other people. How did you know this was the place for your children? We have found a home here at Master Gorino’s that has fostered friendships, built our character, and helped my children become physically fit.